Loading and unloading birds for training your pointing/flushing dog has been made simple with this revolutionary new "natural flush bird launcher" offered by d.t. Systems. Conventional launchers carry the risk of losing or injuring your bird because of the difficulty of loading your bird and locking down the launcher at the same time. D.t. Systems' patent pending "easy-load" trap door allows you to load the bird after the launcher has been locked down virtually eliminating the risk of losing or injuring your bird. The remote natural flush bird launchers allow you to handle up to 16 self-programmable bird launchers from up to 700 yards away. A beeper attached to the remote launchers allows for quick and easy location with a touch of a button from your transmitter. 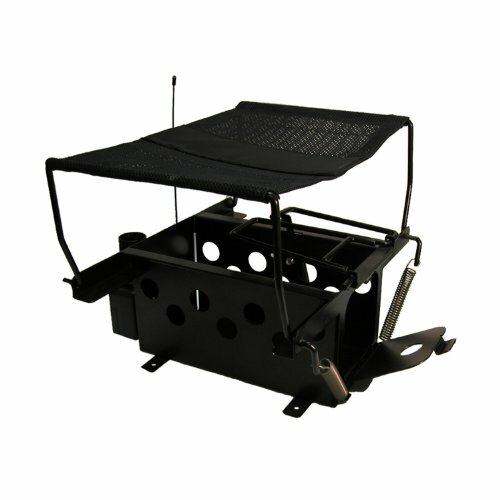 Also offered is the manual natural flush bird launcher for those who do not require a transmitter. The standard size fits birds such as quails and pigeons while the large size fits birds such as pheasants and ducks. All natural flush bird launchers offer the "quiet release" system to keep from "spooking" your dog as well as high quality nets and springs for effective launching. Standard size for quails, pidgeons, etc. If you have any questions about this product by D.T. Systems, contact us by completing and submitting the form below. If you are looking for a specif part number, please include it with your message.